Currently there are over 880 students attending Kingereka School. There are over 90 students per class, one water tap, one toilet for all of the students and teachers and a basic lunch - it makes one think about what we have and how lucky we are. These are the ten original students in our "scholarship program". 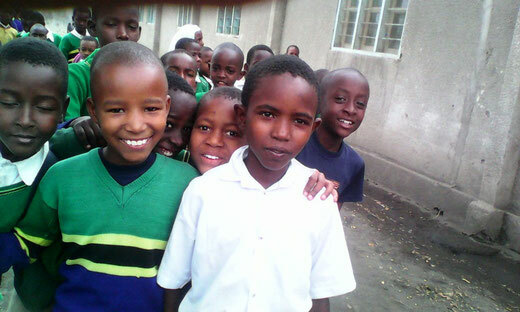 Now that the government pays for primary school fees, Aya Education Fund will continue to pay for the $30 USD school fees in high school until they graduate. Julianna and her brother Edmundi were two of the first three students that received scholarships. 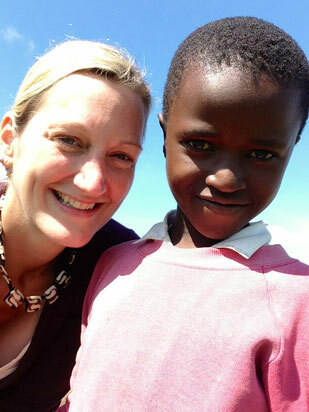 Julianna is a bright, shy and very sweet student who comes from a large family. She has worked hard and became our first student to move on to high school. With her fees paid up until she graduates, we hope that she will continue on in school or find employment as we are sure that she will be successful. Edmundi is an extremely smart student who will have a bright future. 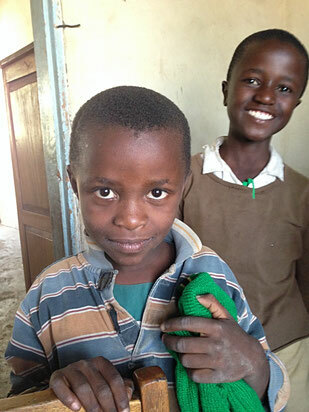 He is so thrilled to be a part of the school fees program and hopes to be an engineer one day. Edumndi loves to disassemble toys and electronics and then reconstruct them or make something entirely new. He loved to play soccer with the donated soccer balls that I brought over. He is very helpful to his teachers, and helps his mother - who has injuries and illness which prevents her from working. His father finds odd jobs to make ends meet. 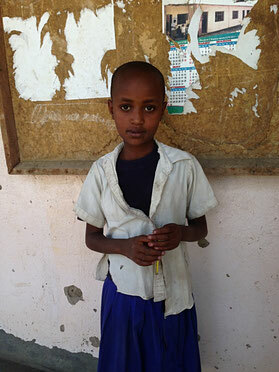 Neema showed up at school the day we were initiating the school fee program. Her mother suffered from uncontrolled epilepsy and her father has a neurological disorder which severely limits his functions in virtually every way. 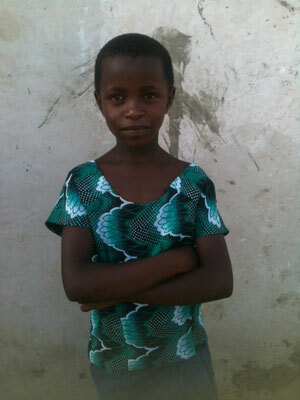 Neema wanted to go to school so badly, and for the first year only wore the one dress she owned. 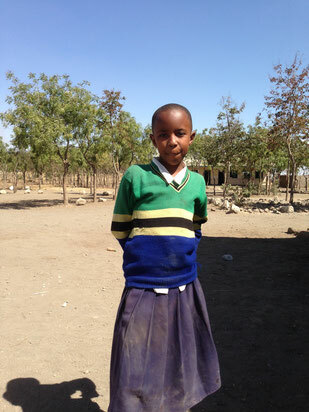 With some donations, Neema received a few outfits and a school sweater. 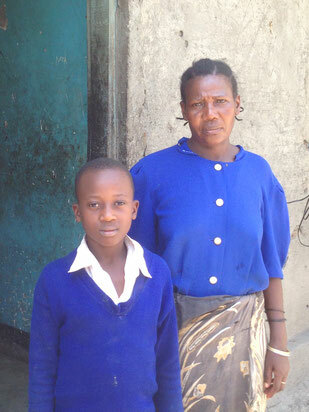 Neema's family relies on odd jobs and any assistance they can get from the government. Piazu lives with his brother and mother. The night before the teacher and I arrived to let them know that Piazu was going to have his school fees paid for until he graduated, his mother prayed for a way to help her children. She appeared to have a steel-like expression when we approached the house, after our talk, she wept openly and hugged us for ages. She hadn't been able to even afford to buy him underpants - his teacher purchased some for him. This amazing family is now on a better path. Nancy lives with her sister and her mother. Nancy's father passed away after complications due to a broken leg. It is difficult to imagine that this is what happened; doctors had been on strike and he did not receive proper care. The result was he passed away and left behind a family struggling to make ends meet. Nancy is a bright girl who quite shy but warms up after some time. 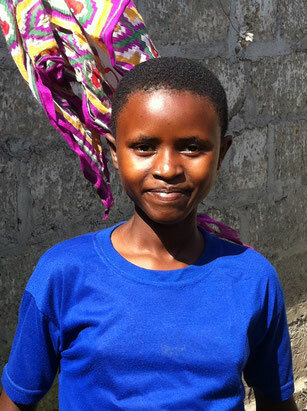 She enjoys playing with her friends and helps around the house so that her mother can find work. Update: November 2018, Nancy's mother has passed away after a 4 month battle with an illness. We are committed to making sure that Nancy has support and is able to attend school and be able to stay in her community. Any donations made to Nancy's care will be set aside to help her during this difficult time. Hazara lives with her grandparents and her sibling. Hajara's mother took her and her two siblings when she left her husband. Due to poor parenting, one of Hajara's siblings passed away. Heartbroken, Hajara's father was successful in having the children returned to his care. When she became a part of the scholarship program, her father was off of work due to injuries from a car accident. Everyone was living with the grandparents who were very happy that they would have the school fees covered until graduation. Godbless has one of the most heartbreaking, yet powerful stories. His mother had recently been murdered by a neighbour following an argument. He was sent to live with his 19 year old brother and his family. Godbless had been named Antigon, however he changed it as he wanted a more positive name. His brother had not finished school as he had to work to support his wife and sons. 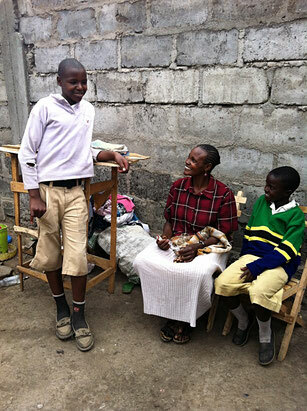 But due to this program, he was inspired to go back to school and was doing really well! We are all so happy that these young men were making the best of a very sad situation. Ezekiel is the younger brother of Edmundi and Julianna. There are six children in the family and not a lot of money to help them have schooling. 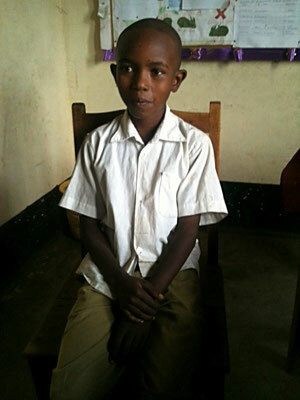 Ezekiel is one of the brightest students in his class, he is charming, helpful and popular with his friends. We have high hopes that he will be very successful in school! Mathayo is one of the newer students in the program, he joined in March of 2015. He is a very hard worker. 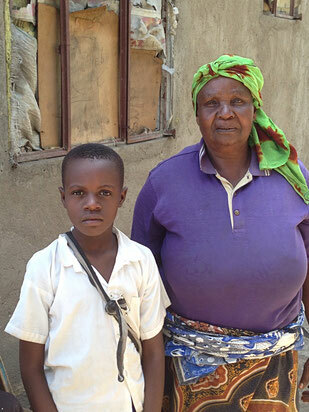 Mathayo lives with his sibling and his mother in a rental house and they rely on farming to sustain themselves. Balancing his work at home and his work at school is difficult however having a scholarship will help ensure that he can be educated and then help his family in turn. Rose is a very nice student who works very hard. She lives in a very small one room rental home which can barely accommodate one person. Rose is dedicated to being a good student. She is very shy and hides a lot when asked questions but she is so happy to have the opportunity to attend school. Online donations are processed via Canada Helps. Donations can be made by e-transfer, cash, cheque or completed online.